Today is Tboss’ birthday and Big Brother Naija housemates celebrated her day with her. Early this morning, they gathered round her and sang her a birthday song. Biggie in his usual way had a cake packed somewhere to surprise her. The biggest surprise was when Miyonse, a former housemate and her love interest in the house did a video that was played for her birthday. The moment when the video started playing and her fellow housemates started shouting Miyonse that was an OMG!! moment for her. 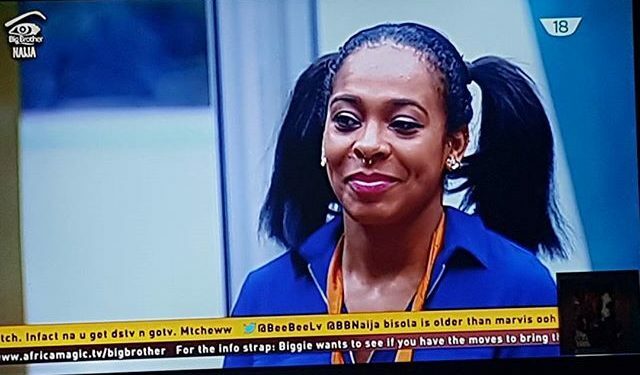 Do you see a relationship between Tboss and Miyonse brewing after Big Brother Naija?because she was grinning from ear to ear. Awwwwwww!!!! we love, Love. 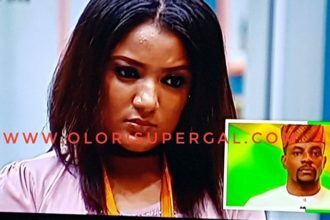 To the Big Brother Naija lovers, stay tuned for the romantic love/marriage play to be acted tonight.